Bridges were an important part of Huey Long’s massive road-building program. Known as the Bayou State, Louisiana had the most waterways in the nation but only three major bridges. 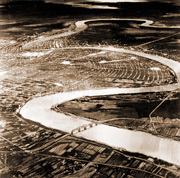 Long built 111 modern bridges – over rivers, lakes, swamps and bayous – connecting regions of the state that had long been isolated. Prior to 1928, travel in Louisiana was difficult and expensive, as drivers relied on a patchwork system of ferries, toll bridges, and makeshift water crossings. The average farmer who crossed a waterway twice a week paid 75 cents for each ferry trip, a total of $150 per year ($1,800 in today's dollars). Ferry crossings were situated where the geography allowed, often forcing motorists miles out of their way. 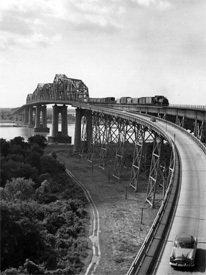 The Long administration initiated construction of more than 100 bridges, including the massive Huey P. Long bridge across the Mississippi River and many other modern steel structures that are still used today. Workers braved snakes, alligators, and other dangers to build these bridges and concrete causeways across swamps and marshlands. Long’s network of roads and bridges dramatically reduced travel time and effort. Trips that once took a day were reduced to a few hours. 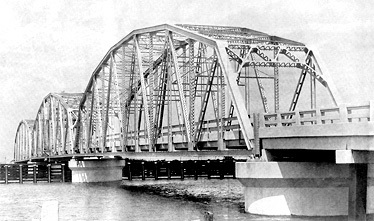 A typical modern steel bridge built by the Huey Long administration. The massive Mississippi River bridge carrying rail and auto traffic. 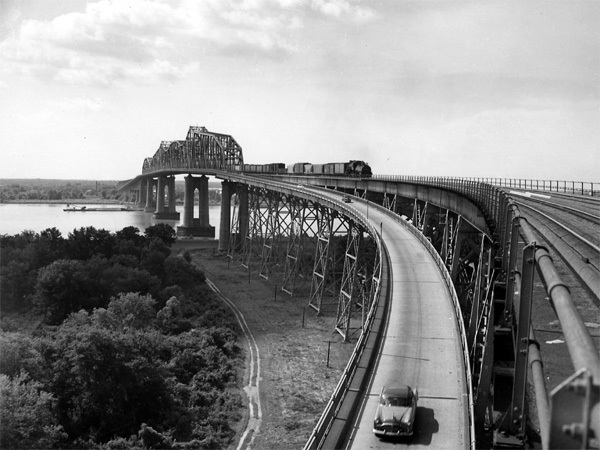 The bridge was named after Huey P. Long following his assassination. 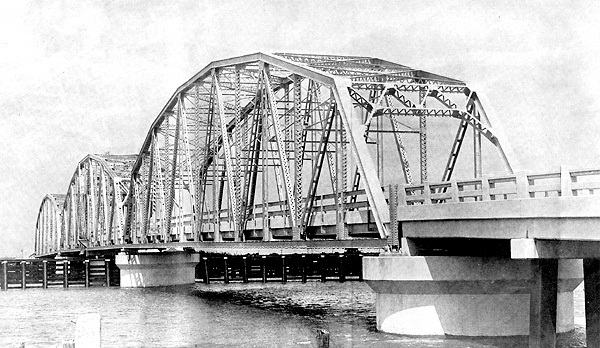 Artist's rendering of the Mississippi River and Mississippi River Bridge. 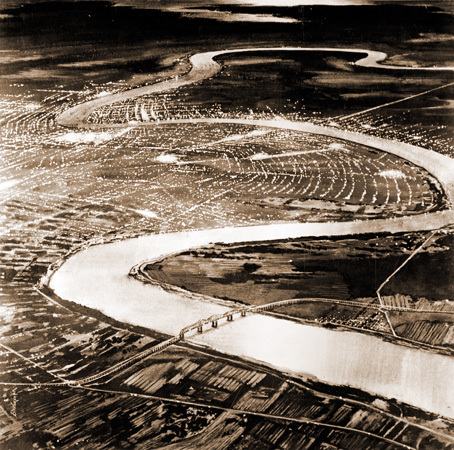 Begun in 1932, the Huey P. Long Bridge spans the Mississippi River at New Orleans. More than a mile and a half long, 18 feet wide, and sitting 135 feet above the water, the bridge is a cantilevered steel structure carrying both rail and auto traffic.